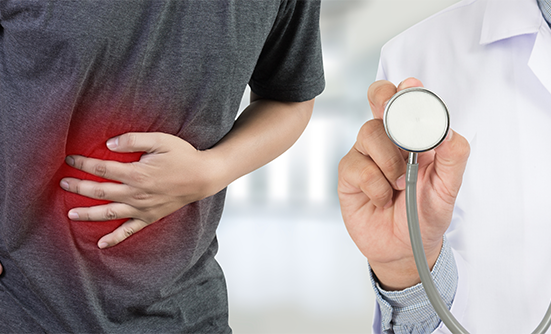 Maryann spent years trying to find the cause of her rectal bleeding, abdominal pain, and other gastrointestinal symptoms. Over 7 years, she had 7 colonoscopies, 7 endoscopies, and several wrong diagnoses before being diagnosed with carcinoid cancer, a type of neuroendocrine tumor (NET). The tumor was removed surgically, but she soon learned she would deal with NETs for the rest of her life. “You can live 20 or 30 years, maybe more, with carcinoid syndrome, if it’s caught early enough,” Maryann says. But early diagnosis is difficult, because the symptoms can be many conditions, such as irritable bowel syndrome or ulcerative colitis. In 2002, Maryann and her husband helped grow a small support group to more than 100 patients with NETs. They also launched the nonprofit organization Neuroendocrine Cancer Awareness Network, which offers a carcinoid cancer hotline; organizes national and regional conferences; and hosts fundraisers, including an annual walk that was started by her daughter, Tricia. “This year marks the 8th year for our annual walk on Long Island, and last year we started a virtual walk for people who wanted to participate but couldn’t get here,” she says. “We also host a ‘Celebration of Life’ gala in November for patients and their families.” To increase understanding of NETs, they established November as NET Cancer Awareness Month. One of her greatest successes involves her daughter, who after many gastrointestinal symptoms and misdiagnoses was eventually, at Maryann’s request, screened for carcinoid cancer and was diagnosed with the disease. “They found that carcinoid tumor 15 years before anyone else would have. I truly believe that my own diagnosis, the reason I do what I do, was to save my baby’s life,” Maryann says. Jessica Morris explains why it is important to fund research on rare cancers such as glioblastoma and how contributions to small nonprofits can have a powerful impact. Jessica Morris discusses how she finds the passion and energy to continue campaigning for the fight against brain cancer.